Local Fencing & Tree services covering the New Forest and surrounding areas. 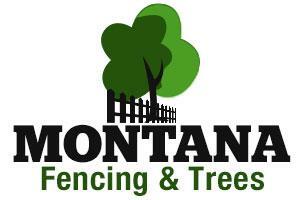 Montana Fencing is a local family run fencing and arboriculture company based in Hythe. The company was originally founded in 2011 and has been providing high standards and affordable Fencing, Tree Care & Landscaping services throughout this period. All Aspects of Tree Surgery! Site Clearance & Garden Tidy Ups! We also offer some landscaping services incidental to the installation of fencing, gates, artificial grass or tree care - Aside from Artificial grass, we don't tend to provide hard or soft landscaping services, specifically, or solely! We are very proud of the personal and thorough service we provide and genuinely do our utmost to continue to offer an excellent standard of service. Why choose Montana Fencing & Trees? Live drop box folder showing your project which is updated daily with images/ videos so you can track progress whilst away from site! Access to "current projects" folder via email link allowing future/ current customers to monitor all work we are presently undertaking! 5-year guarantee on garden installations - 5-year materials guarantee from our supplier - We use only the highest quality materials and have them delivered from out of the county in order to achieve this! We don't take payment until you are completely satisfied with the work! We will break down large projects into sections though in order to keep finances flowing if the project is very large but we complete each stage fully and to your satisfaction prior to taking payment!